You might have noticed, if you’re following this blog – it snowed. I know this is really no big deal to the folks up north, where our icy pre-dawn low temps are their winter warm spells, but for us – it’s tremendous. After the sled cracked, and our fingers are warm again, and the fire is fed and we’ve figured out what’s for dinner… this is a great time to hang out on the couch with the kids and learn something new. 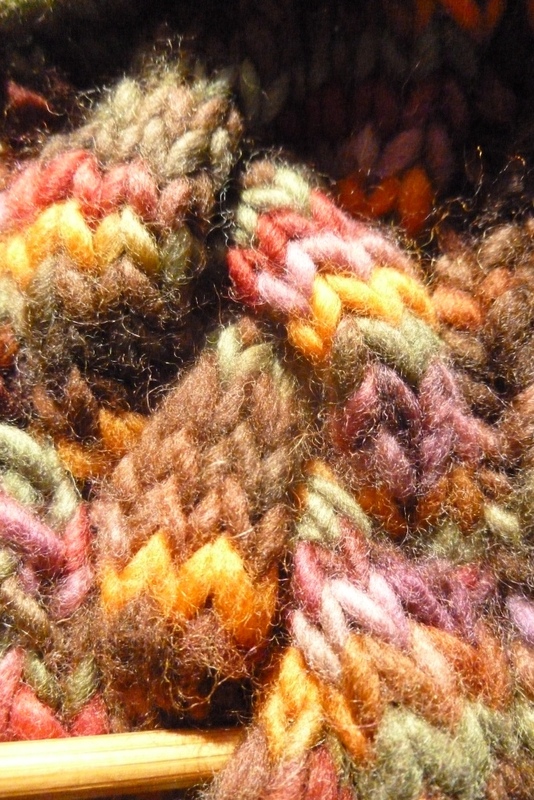 I’ve never cared much for cabled sweaters, but these headbands keep catching my eye, and there was this little bit of yarn with such yummy blends of earthy browns and greens, and just enough purple and orange to keep me interested. The bright snow sun doesn’t do the color justice in my photos, but it’s wonderfully satisfying to learn something new, so simple, so good. It’s my favorite way to use winter time. 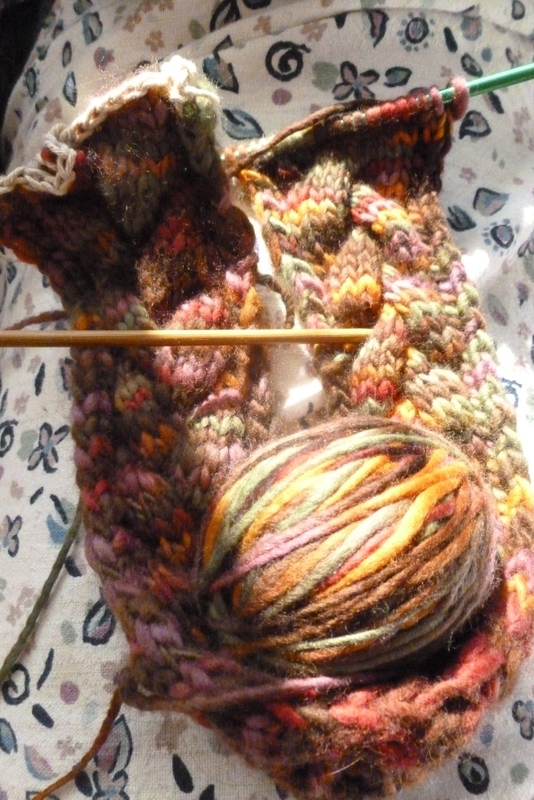 This entry was posted in coree's posts, hands on and tagged cable knitting, colors, hand-knits, knitting, winter, wool by Coree. Bookmark the permalink. It all sounds quite relaxing. Enjoy.